The first time I heard someone tell me to go eat Cucchiello's, I was like, c'mon, man, I'm a BUD LIGHT 69er. Call me Michael Douglass, 'cause I BEEN eating the Cucchiello's all across the world. When I realized it was a bakery that had an Italian sub in East Boston, well, that's a horse of a different color. 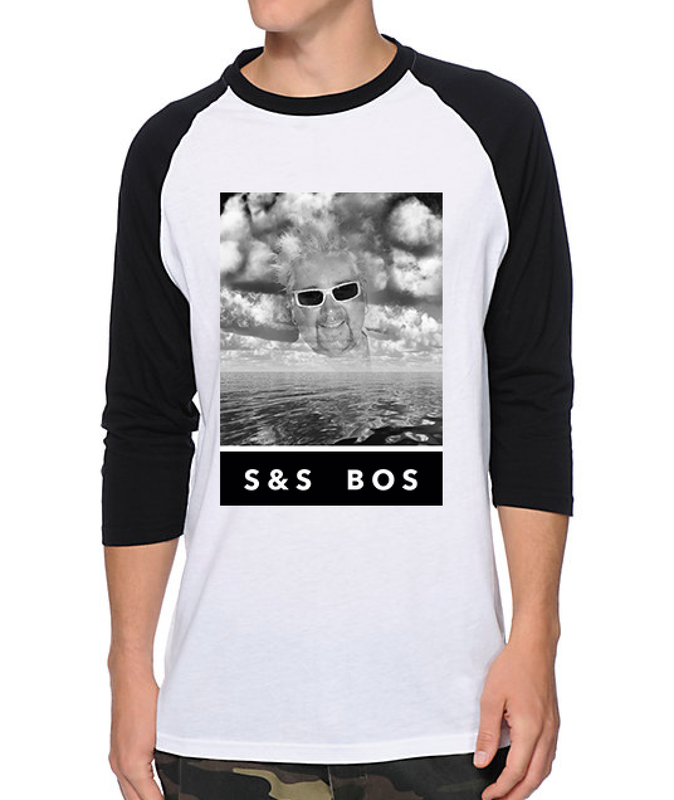 Like Willie Hutch, I said, oh baby, give me, give me some of that good old sub. 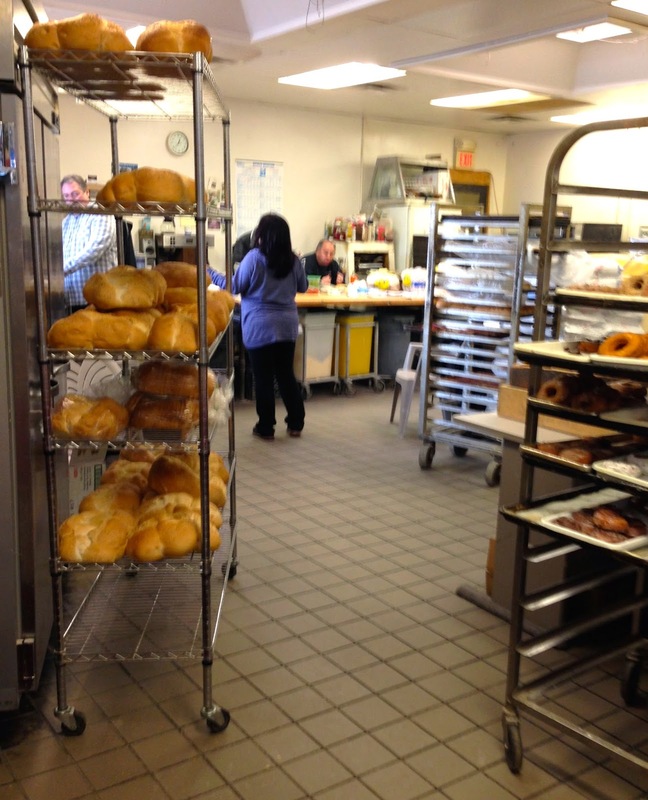 Located right on Bennington St. just outside of Day Square, Cucchiello's is a real bakery serving fresh bread, pastries, and pan pizza alongside take-out classics like meatball, chicken parm, and Italian subs. Stackin bread out in the open. 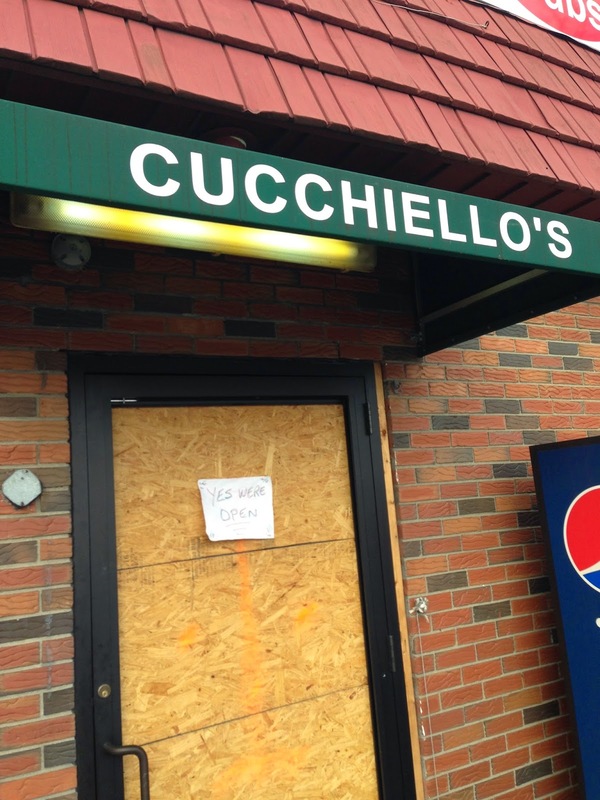 Between the plywood door, lack of a menu, and bread scattered about the building, Cucchiello's is not the most aesthetically pleasing place, and the service is no-frills as well. However, the lack of service with a smile had me hoping they would deliver with a quality sandwich. Mama told me not to judge a book by its cover. I ordered the Italian with everything. The lady taking my order as I walked in immediately shouted, "ITALIAN!" to the three gentlemen sitting, eating, and watching Who Wants to Be a Millionaire in the back of the bakery. I watched the men pass my sandwich along their makeshift assembly line. One guy sliced the bread. One guy added the meats. One guy added the topping. All the ingredients came out of tupperware containers. I had no idea if the tupperware meant I was about to spend the rest of my afternoon basking in homemade sub glory or on the john with food poisoning. The sub is good but certainly not great. The meats are nothing special. Everything includes provolone, lettuce, tomatoes, onions, pickles, hots, oil, vinegar, and oregano. The jury is still out on whether the tupperware indicated the hots were homemade, but they were good nonetheless; it was a hot-pepper relish, Dad's favorite. The combination of toppings is balanced, tasty, and tangy. The bread is soft and delicious, but it did not have the crust I was hoping for. 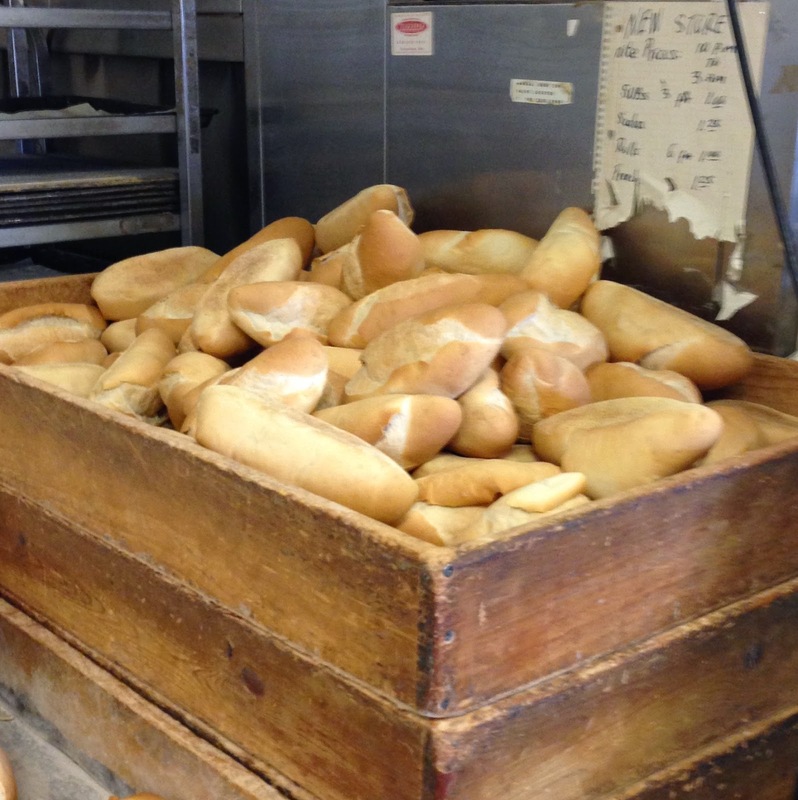 With all the different types of breads in Cucchiello's, I would imagine there is a crustier roll that would bump this sub up a point or so. 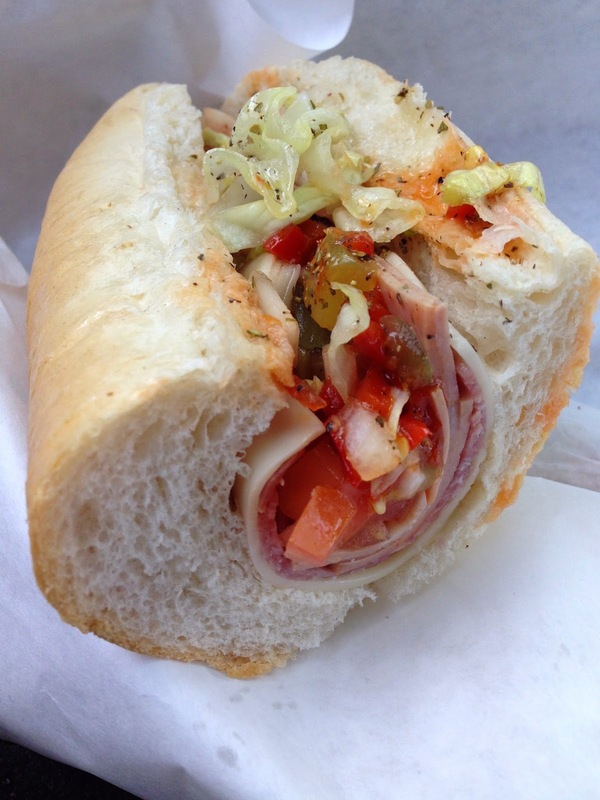 However, without an improvement in the deli department, Cuchiello's will continue to do fair job with your standard Italian sub. If you're driving down Bennington St. and you see the plywood door, stop and pick up a loaf of bread or some cookies. But keep driving if you're in the mood for cured meats. Next time you pick up a sub, send in your own one-bite review to the Submarine Savages at subsandstuffbos@gmail.com and add/message us on Twitter (@subsandstuffbos), Instagram (@subsandstuffboston), and Facebook. 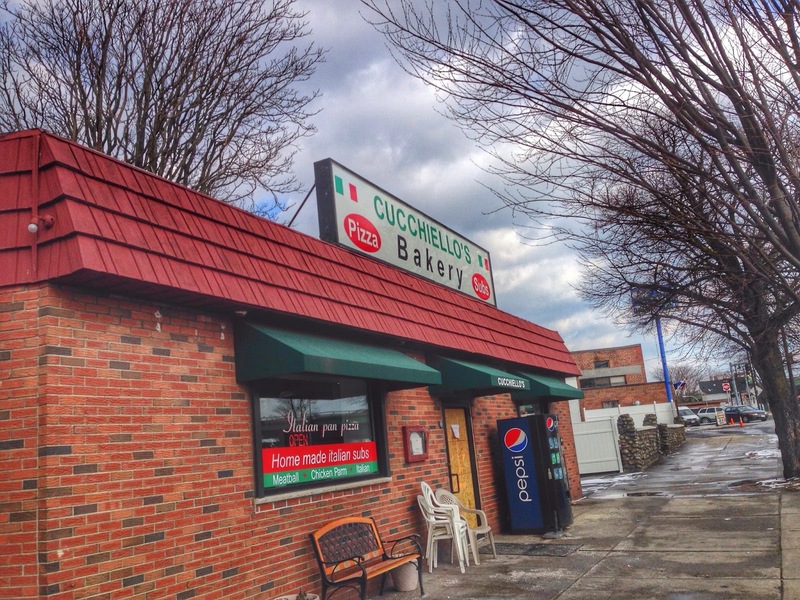 Have you tried Cucchiello's Italian? Rate it below and leave a comment.